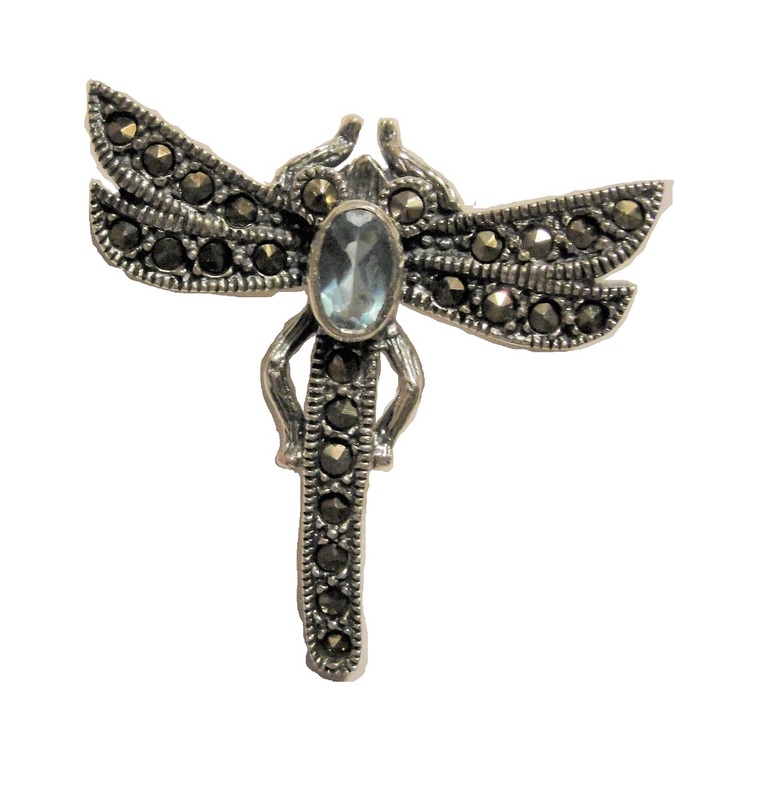 Sterling Silver Marcasite And Imitation Blue Topaz Dragonfly Pin Brooch. This Item Is Approximately 1" By 1" In Dimensions And Brooch Has A Safety Lock. The Picture Does Not Do This Dragonfly Pin Justice!